An interview with american skater Ryan Jahnke, 2003 US Bronze medalist and World Team member, and founder of www.myskatingmall.com. 44 minutes, 6 seconds. On his most embarrassing skating moment: Definitely it comes instantly to my mind. It was Skate America 2003. The previous year, I made it to Worlds, had a breakthrough season, did really good. So I get to Skate America, which was the first of my two Grand Prix events. And I think in my long program the only thing I landed was a double axel. I went down about six times. It was — I was just crushed. So many things were going on and that was the most embarrassing, because here I am, expecting to do really well, and I just really mopped up the ice big time. I was a little spooked because I didn’t have a lot of experience with the Grand Prix thing and I let that get to me. Also, I use cue words a lot when I skate. 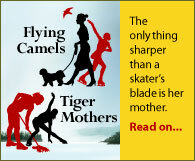 A lot of skaters do that, so when they jump, they have certain cues, one-word phrases that remind their body what to do. And those serve two purposes. One is that it kind of keeps you focused. And the other is that it keeps you from getting distracted, it kind of sparks your body to do the right thing. So I think I was kind of saying those cues but I sure wasn’t feeling them [laughs]. The next week I went to Skate Canada and I did much better, but it was sure an embarrassing wake-up call at Skate America. On switching from hockey to figure skating as a child: Divine providence, maybe? [laughs] It was because of two brothers at my learn to skate class, who were both figure skaters, and their mom actually ran the program. I think because I liked them and I got encouragement from them, I switched over. And that first day was like The Cutting Edge movie [laughs]. I remember a couple of days of that and then I switched over to figure skates. I think I just liked what I could do, and the possibilities were endless, so I just kept moving forward from there. It was just recreational for a long time, before I started putting other things aside. I started when I was about seven, and at the same time I was involved with a lot of other stuff. I did choir, and soccer, and Cub Scouts, and I think even a bit of piano back then. And I was 13 before I gave up soccer. Everything else kind of fell away one by one before that. So I was skating mornings but didn’t start skating after school until I was 10 or 11. 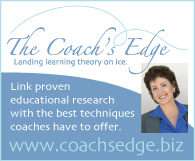 On moving to Colorado Springs to skate: That happened because of my coach, Diana Ronayne. Luckily she just happened to live near where my parents lived in Michigan. And so I was 21 when she got the job offer to come [to Colorado]. She told me about it but she did kind of say that it depended also on whether I wanted to move, because we had been together for so long and I was reaching a peak in my career. So I came to check it out, stayed for a week, got a program done with Tom Dickson. And so I really put everything on a list. I had a list of pros and cons. Cons leaving my friends and family, pros training at altitude, the training centre, the environment. I think that was the biggest thing. At home I was a big fish in a small pond, but here it was like, I was swimming with a whole lot of other big fish [laughs]. So I said, I’m game, let’s go. I was fortunate that I got to stay at home until I was 21 and my family didn’t have to break up. On being US Novice Men’s champion in 1993: Honestly, it was the first time I’d ever won anything [laughs]. I was always really good in figures and pretty bad in freestyle. And I would grow in spurts, like a lot of boys do, and that just wreaked havoc on everything, and my knees would hurt. And the funny thing that I remember about competitions when I was younger, I would go back to school, and people would ask how I did, and I’d say, I got third! But they wouldn’t know there was only three people [laughs]. But I tell people, I was like a slow cooker. It took me a while to get going. I’m sure I won a local competition or something at some point in my life, but [the novice title] was the first one of any significance. On liking the skating of Paul Wylie and Brian Boitano: The Tano lutz, yes, that 100% came from Brian Boitano. In my mind, I thought if I could jump like Brian Boitano and be consistent like him, and skate with the emotion of Paul Wylie, that would be heaven right there [laughs]. So that’s what I aspired to do. And about 2006 or 2007, I finally had both of their cellphone numbers. I remember that day [laughs]. I knew Paul while I was still competing, he sort of mentored me, and he really stepped up and helped me look at things well, and sort of shared his life experiences. So I had his cellphone number, and then after I retired, I did Brian Boitano’s Skating Spectacular, so he gave me his cellphone number, and I thought, oh my God, I’ve arrived [laughs]. On breaking two teeth in a collision on the ice: It was in St. Clair Shores [Michigan], and in the summer, our freestyle sessions started at six a.m. And I was going to be competing at high altitude. I was coming out to Denver for the Olympics Festival in 1995. And it just so happened that the rotation of the music that morning was Dan Hollander, who did his long program, and then right after him my music came on. But the problem was that we were doing back to back run-throughs because of the high altitude. So Dan got done with his first run-through, and then I started my program, but he was doing his second run-through without the music. And it happened at a point where he was going backward and I was at the end of the rink starting my footwork sequence. So I’m bolting down the rink going backwards and forwards and all these different ways. And by this time we had each other’s programs memorized, so we never worried about running into each other, but he just thought I was going to be in a slightly different spot on the ice. And I remember turning and the next thing I knew I was down on the ground. And I jumped up and was gliding in the opposite direction I was going from a second ago, and I looked backward and Dan’s sitting on the ice and he’s got his hand on his head. And then my face felt like it was buzzing or something, it was a really weird feeling. And I remember thinking, oh, I must have hit Dan, because I didn’t even see him coming. And I looked at my hand and was like, oh, sweet, I’m not bleeding, and then all of a sudden blood started coming everywhere [laughs]. And we get off the ice, we sit in the locker room, the moms are trying to patch us up, and he says, dude, how’s your teeth? [laughs] And I smile and my two front teeth are broken off. The base is still there, but they’re broken at this weird angle. So we go off to the hospital, and at this time it’s still like seven a.m. So we’re sitting in the emergency room and they ask what happened, and we say, we had a collision on the ice. And they said, oh, you guys hockey players? And we’re like, [quietly] no. We’re figure skaters [laughs]. On the wide range of music he skated to: I grew up in a musical family, and when I was young I played the piano and the flute and was in a choir. And my dad did vocal music when he was in college, and still does it. And so I always liked music and I kind of had an appreciation for finer music, not just radio pop music. And I got to the point where I wanted to do something different, and when I moved to Colorado Springs and started working with Tom Dickson, he was kind of the same way. He loved trying new things and being creative. And I always sought to in some way, and I do this with my students now, change the type of music from year to year so they learn different ways of moving. I think that’s the only way as a skater to get to the point where you feel you can do anything. On attending college full-time while skating competitively: I always went to public school and didn’t have any special schedules or any of that stuff. After I finished high school, I went straight into college, and went for a year and a half. I took classes all three semesters, so I could take fewer classes each semester. But I was awarded this academic scholarship, but the caveat was that I had to go full-time. So I was trying to make that work, and after a year and a half that was when Diana decided to move out to Colorado Springs. And it was actually my father who said, you know, you might want to rethink this school thing, I think you’re burning the candle at both ends. You’ve got a limited amount of time for skating, but you can always go back to school. He said, I think you should consider just training when you go to Colorado. And I could see the wisdom in what he was saying, because I never really broke through in skating when I was going to school full-time and training full-time. It was when I moved here [Colorado] and trained full-time that I had my best year. And when I finished competing, in 2006, I immediately went back to school. And I just graduated about two weeks ago [laughs]. On being a vegan: I was for a while. I was a vegan when I made the world team and both times when I placed at Nationals. When I switched to being a vegan, my body weight dropped ten pounds and I started eating more. I was never heavy by any means, but my set weight was five pounds less than it usually is, which is really neat. Becoming vegan, you learn all the variety of foods you can eat, and all the different spices you can cook with. I always got plenty of protein, there are tons of substitutes and soy stuff. But looking back, I think the thing I did not get enough of was good fat. My wife and I have both been really interested in health and nutrition, and I see it as a constant learning and evolving. Believe it or not, we’re still making adjustments now. I didn’t continue long-term with the vegan thing. I think it’s a really good thing to do in the short term, kind of as a cleansing thing, but I think there might be issues with it in the long term. On going to the 2003 world championships in Washington, DC: I think the home turf stuff really helped me. If anything, the food was the same, and the travel wasn’t crazy, and I could communicate with everyone around me. Those sorts of things just make it more comfortable, and I really felt a lot of — I want to say pride, but pride in a good way for being able to represent the United States while we were in Washington, DC. When I went in there, I had my plan. I had my keywords and my training had been great, and I was healthy. I pretty much just went and did my thing. And that qualifying round, I did a totally clean program and I think I was fifth in the world after that, which was totally beyond mine or anyone else’s expectation of what I could have done [laughs]. And truthfully, then I didn’t realize it but I felt the pressure. My short program was OK, but then I dropped to eighth after that, and the long in all honesty was terrible. I was in the final warm-up group, and [Evgeny] Plushenko and the other two Americans, Tim Goebel and Michael Weiss, were there, and I think [Emanuel] Sandhu was there. And I think I might have thought to myself, wow, I’m in the final warm-up group at worlds, and unfortunately I didn’t handle that as well as I would have liked. On his cue words: Let’s say triple lutz. My cue words, as I go into the thing doing crossovers, I’d say either ‘push, push, go, go’, or sometimes I would even say ‘crossover’, and then somewhere I would say ‘breathe’ and then ‘set’, and then ‘balance B’, ‘up’ and ‘landing’. So ‘balance’ would be to balance over my leg, ‘B’ would be ‘bend’, I didn’t want to say the whole word because it took too long, and then ‘up’ was for my spring and squeeze-in, and ‘landing’ was obviously for the landing. For some kids, that’s way too many words. For me, it would flow and keep me on track. For some kids, maybe they would just have a cue at the beginning and a cue at the end, just so your mind doesn’t wander and it sparks your body to do the right things. To skate well, you’ve really got to be under the conscious level. The subconscious mind processes 200 times the information that the conscious mind does. When you’re focusing on the moment, and obviously you’ve done these things thousands of times before, then the subconscious mind is able to do it so much better than the conscious mind. And the cue words help you get out of your head and not muscle your way through something — to trust it and go through it. On not making the US team for 2004 worlds but still being OK with that: A lot of my philosophy of success comes from John Wooden, who’s won more national titles as a college basketball coach than anyone else in history. His philosophy is that success is knowing that you’ve prepared and done the absolute best that you can do, and it’s something that no one can take away from you. And to have a totally clean long program at nationals — at the end of my programs, even my good ones, when I’ve performed, I’ve never been someone who pumps their fist or something like that, I’m kind of reserved, but when I finished that program I didn’t even think about it, as soon as I finished and stopped, I pumped it [laughs]. And even not making the team, that totally didn’t bring me down. A few days later, maybe I was like, aw, I could have made it, but I really couldn’t have asked for anything more in that particular program. In the short, I fell, and that’s really what kept me from the world team. On skating with injuries for the last years of his competitive career: I think it was partially from desire, wanting to be the best, sort of being in this world of this pursuit of wanting to maximize my ability. And it probably was a mistake, but I really never wanted to take time off. And I think a lot of athletes are like that. The best thing to do is to take time off and get healthy, because they’re nagging injuries. They hinder training for a long time, and one of those that was a real problem was the bad back. In 2005 I had a really good Grand Prix series, made the Grand Prix final, so I was traveling pretty much all fall, the Grand Prix final was in Beijing, and that’s a big trip, and I came home and I felt like I wasn’t able to get much training in, so I really tried to push it hard. And I really kind of hurt myself before Nationals in Portland. I got hurt, I tried to skate Nationals, it was a disaster. Injuries are part of the life of an athlete but it could have been handled better. On his coach Diana Ronayne turning down a job offer to work with him for the 2006 season: That was a tough call, and that shows her altruism. She was a second mother to me, I worked with her since I was seven, and at that time I was 26 and we were still together. She would have been so much better off financially if she took that job — which she eventually did, that’s where she is now because they held the job open for her for a year — but she put that aside to help me. My thing was, at that point in time I was already married [laughs]. My wife was here, I liked this training center, and we were able to finish this off together. I don’t know what it would have been like to do that very final season without her. I’m glad we didn’t have to. On becoming a coach after 2006 to pay off his debts from his competitive career: That first year, it really took off. Not only was it because of other coaches who allowed me to work with their students, and there’s so many good coaches here in Colorado Springs, but any time anybody wanted me to work, I was there, because I was like, oh my God, I’m making money [laughs]. It was a whole different way of living, because when I was competing, through most of my career it was my parents financing everything and struggling to do that, and then the last four years, I did have a sponsor, and it was really only because of that sponsor that I could keep going. I always had enough money to train, but living expenses were always really tight, you know, I never did anything extravagant and half the time I was shopping at the Goodwill — which I actually kind of liked, I found a lot of good stuff at the Goodwill [laughs] — but it was just different [coaching]. I was like, dang, look at that cheque! [laughs]. Right now I have about 12 primary students who I direct everything for, and then I have other students that I help out with, because we do a lot of team teaching here in Colorado Springs. There’s about five different dance teams, I help them with step sequences and edging — I was one of the last dinosaurs who passed their eighth figure test [laughs], so I really understand the edging and turns and things like that. And I do a lot of field moves as well which I really enjoy. And then I do choreography. There has to be about 10 other people I work with. On his annual ritual of going to a mountain cabin by himself: It’s a prayer and fasting retreat centre, and I still go. It’s really amazing just to get away by yourself for a few days, so you’re not plugged in, you’re not talking to people all the time, and it’s a time to think and to pray and to catch up on sleep and to dream and kind of look forward. I am a Christian and I do look for direction from God, but it’s a great thing for anybody, just to get away and to rest and refocus and look where you’re been, and look where you’re going and see if you like the track that you’re on, and if not do something about it. On taking dance tests: I’ve been working with ice dancers since I stopped competing, which is about three years ago, but I’ve always felt that what I could do with them is very limited. I understand edges and turns but the whole arm hold thing, and going from one place to another, I didn’t have any personal experience. So I thought it would be kind of fun to start taking some of these dance tests. Last year I took two tests and then last weekend I finished up my silver compulsory dances. I’m not stellar at it, I only passed with two out of the three judges [laughs], but it’s kind of fun skating with somebody else. I also do freeskating two or three times a week, with the students, to help motivate them. Luckily I can still outskate all my students, but the day will come when they can beat me [laughs]. On founding myskatingmall.com: I put together a couple of different things I saw happening in the skating community over the last couple of years. With the economy, there’s a lot of families that have been struggling with keeping their skaters going in an expensive sport — that’s always been the case, but for some now it’s even worse. And clubs need to raise money, and for teams, it’s the same thing. And my father, just off the top of his head, said, I wish there was somewhere to sell all these old outfits you’ve got. There was a closet full of stuff, and it was beautiful, and I’d worn them, what, eight times, and we paid $500 for them. That’s [the cost] for the guys — I know the ladies pay in the thousands, but for the guys, if you don’t bling too much and you’ve got a budget, you can get it done [laughs]. So I combined those ideas and created a website to support the skating community. It has two main features. One, it’s going to allow every skater to sell their gently used skating items, and list them on a site that’s going to be completely customizable. So the listing forms are going to have all the information so you can see if it’s something that you really want, with a lot more detail than a site like eBay. And a 10% commission is going to be charged on each sale, and half of that commission is going to go back to fund the skating clubs or skating teams of the people involved in the transaction. So it’s going to be a perpetual fundraiser for skating clubs. So people can earn cash for their outfits and have access to the closets of skaters all around the world. And the second half of the site will be linking in sites for skating stores that sell new goods. So skaters will be able to buy all their new goods on the site too, and the same thing, five percent of the purchase price is going to support the team. It’s something that’s been needed for a long time, and I feel fortunate that I was kind of able to put it all together in my head. And then I had the business know-how with my schooling that I went back to and finished [laughs]. And then I have the connections in the skating community as well. On his skating now: Now that I finished school and I have all this free time [laughs], I started weight training again, and I started going to dance classes — I used to love off-ice dance classes like lyrical jazz and ballet. I even did some performing with a dance company for fun when I was competing. So I’m probably going to skate some more and do some shows. I’ve been out of the loop for about two years, but if anyone is interested in hiring me, I’m sure I’ll hear about it [laughs].